I do a lot of radio and radio/TV (where a static photo of me appears on the screen while I'm interviewed from my desk at home speaking into the phone while wearing pajamas). I go to fairs, festivals, signings and in all these venues I'm asked, "What is your book about?" I try not to crack wise and say, "Oh, just about everything: life, love, hate, death, fear, triumph, tragedy -- you name it, it's in my writing." Which is true, but that's too throwaway. 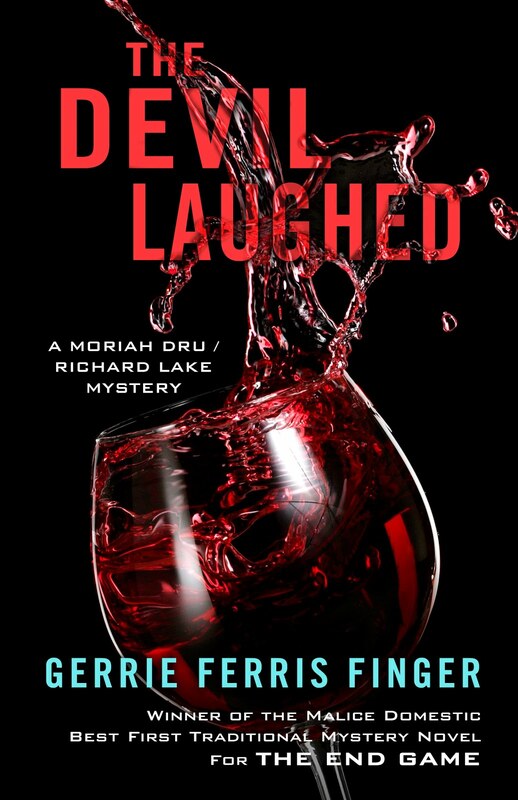 Better to say, "It's a murder mystery, with thriller elements like when the vengeful bad guy is revealed and gets in a gun battle with Dru and Lake, my heroine and hero." Not too illuminating, either, you say? If I don't come up with a better answer, the questioner (host) will come up with a more pointed question. "Tell us the story, the plot." "Ah," I say, but don't explain that the plot is a device that tells what the book is about: life, love, hate, death, fear, triumph, tragedy. It's the backbone that supports the characters motivations. So I launch into the plot of my latest, Running with Wild Blood. "It's about an outlaw biker club that is accused of murdering a young girl. 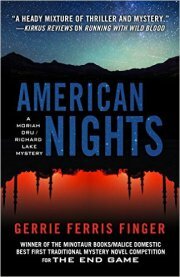 The case goes cold when the cops don't solve it right away, but then a few years later a witness regains his memory of that night, and ..."
What the book is about is a young teen, Juliet Trapp, coming into the fullness of life, thinking it's a thrill-a-minute and she's immortal, juxtaposed against her friend, Bunny Raddison. who learns too soon that life is full of grief born of her own desires and fears. We learn along the way, in this fifth book in the series, more about Moriah Dru and Richard Lake, and who the other characters are, their visions, why they've taken the path in life that they have. Even how some look death in the face and triumph. 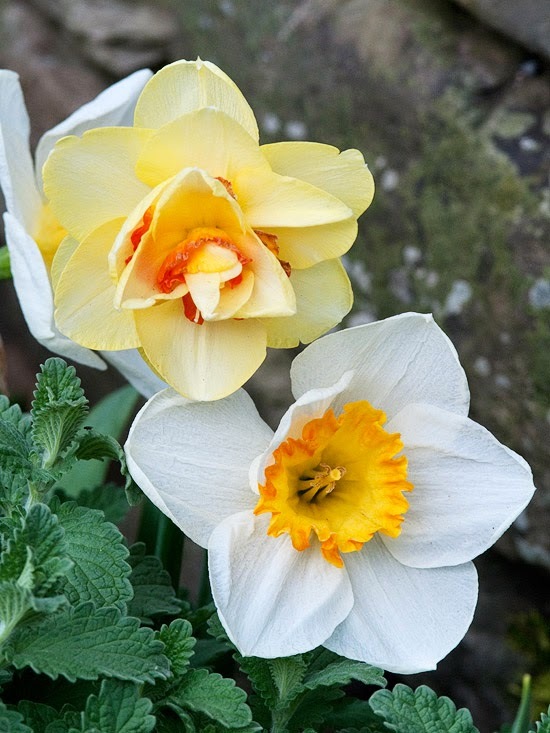 Yes, we delight in seeing daffodils and crocuses raising their blossomy heads in the snow or slop of early spring -- depending on where we live. I live in Georgia and this year we had snow! I love to see the Cosmos blooms and always recall their Greek meaning: "a balanced universe." 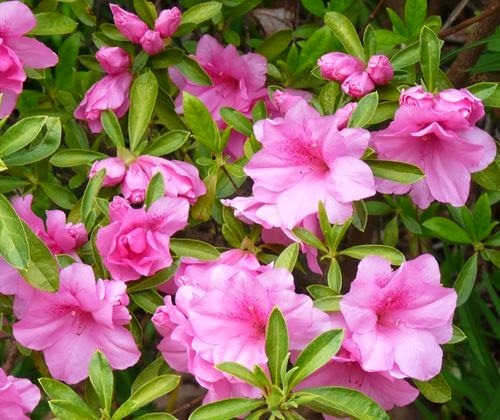 But what really balances our universe in the South is the Azalea. Drive down any Southern street from Georgia to Louisiana and check the yards. No matter how grand or humble it will have at least one of these hardy flowering shrubs. But just because they’re common doesn’t make them any less fascinating and beautiful. Azaleas come in riot of colors and sizes to suit any space and purpose. For the last ten years botanists have hybridized the old faithful's into varieties that bloom multiple times a year. 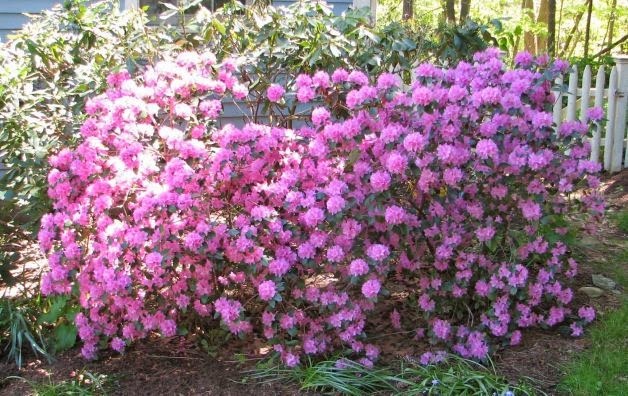 Rhododendrons, close cousins to Azaleas, however, are not so accommodating, even though I love them and try to make them happy. They are rather finicky about their environment: the soil -- too wet, too dry -- the sun, too strong, too clouded. Did I say I love them? I delight when we drive north and see them in the wild, in the highlands of North and South Carolina. This ancient Greek rhodon or English rose can be evergreen or deciduous and comes to us from Asia. The Snowy Viburnum shrubs in my yard are budding. In a few weeks their honeysuckle smell will invade our senses. No surprise it is in the honeysuckle family, (Caprifoliaceae) This broad family raises many species and varieties of trees and shrubs. 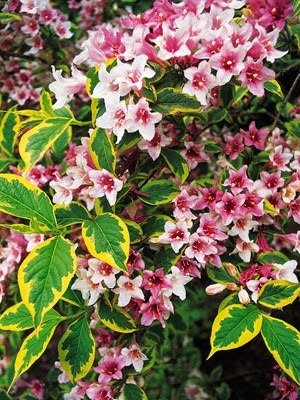 Many viburnums put on a showy display, producing flowers in an arrangement called a corymb. Some species are edible, while others are somewhat poisonous. Rosy-pink flowers add a touch of romance when displayed against the dark glossy foliage. The foliage is much darker than that of older varieties like 'Java Red'. It contrasts beautifully with the rosy-pink flowers, making for a high impact display in the garden. 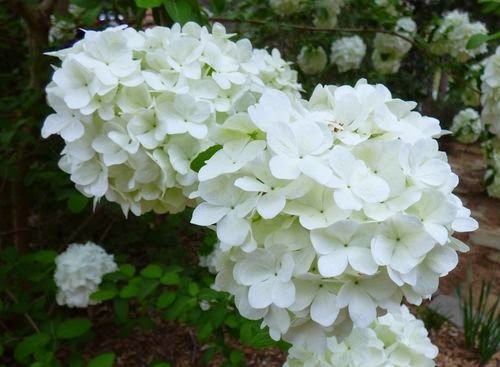 This variety produces copious amounts of flowers in spring, and will bloom throughout the summer. The trumpet-like flowers are adored by hummingbirds! It is fast growing and trouble free, making it an easy way to add season long color to the garden. Online promotion is a tool in the writer's marketing kit. When you're new at publishing, it helps to get your name out there; when you're an old hand, it helps to remind people that you're still out there. Web promo doesn't feel like promo to me. I sit at my desk and still enjoy the company of friends on Google+, DorothyL, Crimescene Writers, Sisters in Crime, Facebook, Twitter, GoodReads, Library Thing, Tumblr, Pinterest. I enjoy blogging and reading others' blogs. One cannot live by writing alone, or I can't. 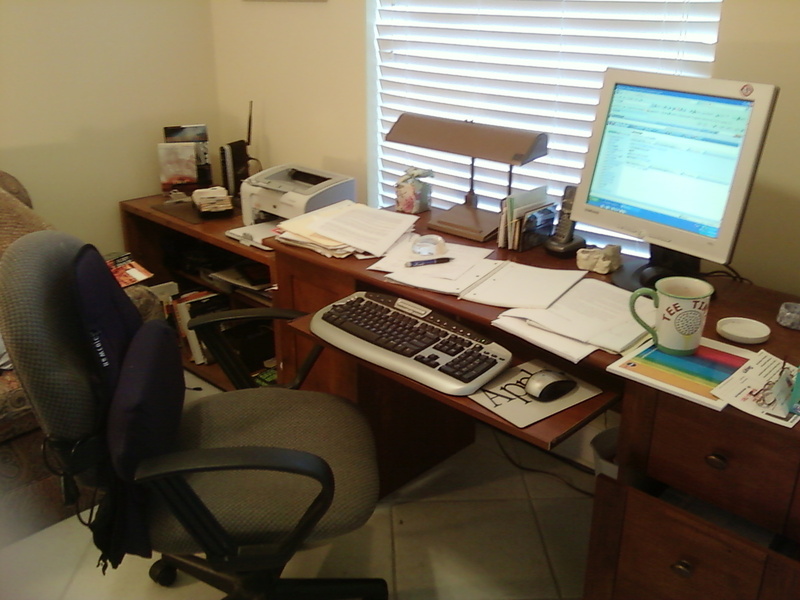 But I have to limit myself to two hours online per day, or less, before getting to the business of editing and writing. That includes writing blogs like this one. Sometimes in the evening, I'll get on Facebook where a different group of friends have gathered. Thanks for reading and I'd like your comments. Running with Wild Blood - Jan. 2015. Pi Day is the annual commemoration of a mathematical brain twister. Celebrated today, March 14th (3/14) around the world, Pi (Greek letter “π”) is the symbol used in mathematics to represent a constant — the ratio of the circumference of a circle to its diameter — which is approximately 3.14159. Since 3, 1, and 4 are the first three digits of π in decimal form. The digits appear in this order in the ISO international standard for representing dates (YYYY-MM-DD): 2015-03-14. Pi Approximation Day is observed on July 22 (or 22/7 in the day/month date format), since the fraction 22⁄7 is a common approximation of Pi, which is accurate to two decimal places and dates from Archimedes. A sequential time occurs on 3/14/15 at 9:26:53.58979... following the sequence of Pi to all digits, using the America-based system of dating. If the particular date existed, the holiday would be celebrated elsewhere on April 31, as America is the only country that uses the month-first date system. 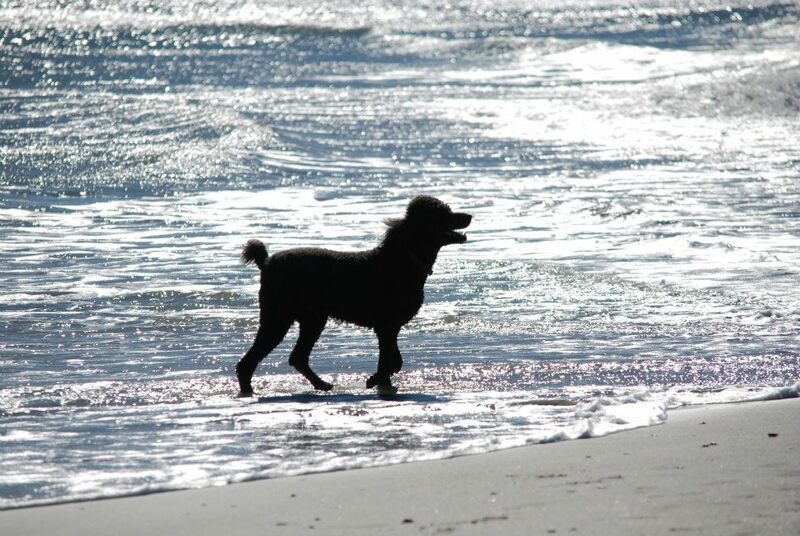 Bogey, our black Standard Poodle was born on Pi Day. No wonder he's so smart. Happy 13th, Bogey-Boy. I am far from a gardener, but I try. And I visit Callaway Gardens, located in a pine forest south of Atlanta, at least every other year. The lovely gardens have some educational programs for the beginning gardener as well as the advance horticulturist. I took a look at their website and found these two programs in March. We've had a horrid winter here in Georgia -- snow, rain, cold. What, you say, sounds like winter. Yes, but in the South it was a record-breaker in a lot of areas. Nothing like songbirds in a garden and there are ways of attracting them. I have learned that bluebirds will not choose your carefully crafted house if they see a way for a predator, like an egg-sucking snake, to invade the nest. Pine baskets are fun to make and are soooo Georgia. Here's a handy link and a phone number to reserve your place. Encourage your favorite feathered friends to your backyard! Learn how to attract year-round and migratory birds to your home landscape by using “homemade” bird feed, planting native plant species that provide cover and food. Tour Callaway Gardens’ Certified Backyard Habitat to learn how to identify common, local backyard birds. Materials are provided; bring your own binoculars. March 21, 2015, 10 a.m.-4 p.m.
You’ll make a basket using pine needles and coil basketry techniques. This beginner class covers the basic skills needed to make the basket. Complete the class with a basket reflecting personal taste and design. Lunch is not included in the workshop, but participants may bring a lunch or pick up something from the Discovery Café. All supplies are included. This is not an ad, nor was the post solicited by Callaway Gardens. Are writers wisely using social media for marketing? Or are we over-using social media to advertise our books. Valid question in this internet age. A lot has been written on the subject and more will come. Please comment below. I'd like to read your thoughts. Over-using--or blatant self-promoting--is different and unique to each social media user. I believe friends and followers on social media are used to writers promoting their books, they just don't like too much self-promoting. That's the fine line about which marketing experts speak. For me, I focus on what will benefit my upcoming book and not irritate potential readers. I use this blog to reach blog readers and I do blog tours on other bloggers' blogs. I use Facebook sparingly, in my opinion. I can determine if I've overdone posting by how many friends un-friend me. Same with Twitter. Lose followers and that's a clue I've posted too much. How much is too much? Experts say that for Twitter, once or twice a day is ineffective promo; that three times a day is more effective; but four times is overusing and tweeters will let you know. As far as email blasting for advertising to anyone besides your family and face-to-face friends, I believe authors are making enemies not fans. It's one thing to do events on Facebook, Twitter and Goodreads, but without invitation or permission, to send out an ad or a newsletter does not make people happy. 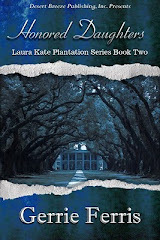 My newest release, the 5th in the Dru/Lake series. Find online, brick and mortar book stores, and libraries. DO YOU TRY TO FIGURE OUT WHODUNNIT? 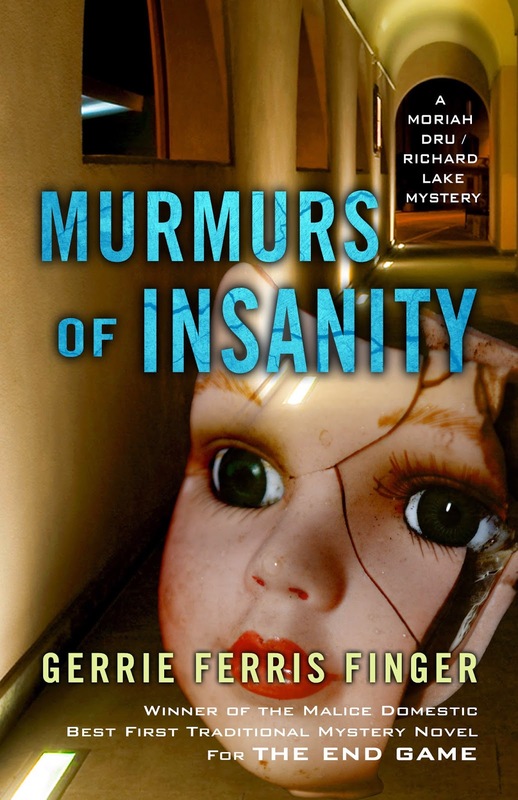 In most reviews of my books, one of the important aspects is figuring out whodunnit as the reviewer reads the book. "I figured out who did it early in the beginning," seems to rate a negative point. 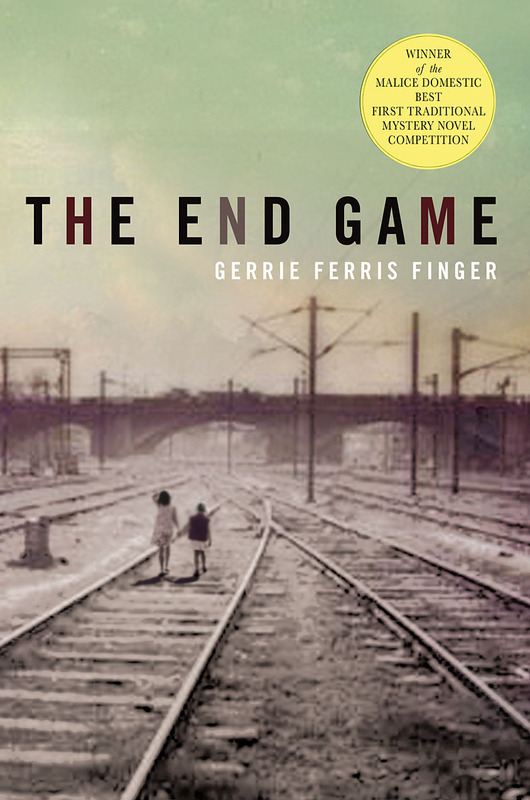 "I didn't figure it out until the middle when such and such clue was revealed." That's gets an okay, but means I need to be more obscure with clues next time. "I was totally surprised at who did it. Never would have guessed." This is a definite thumbs up. And that is my goal. It's a mystery, after all. It should stay mysterious until the end. Does it spoil the ending when I guess right? Sometimes it does, but then, like all readers I hope for a surprise. That begs a question: do I really want to be wrong? I've been hosted by many book clubs and the members vary in their desire to unmask the bad guys, or girls. Some just enjoy the read. One woman said, "I don't want to know." 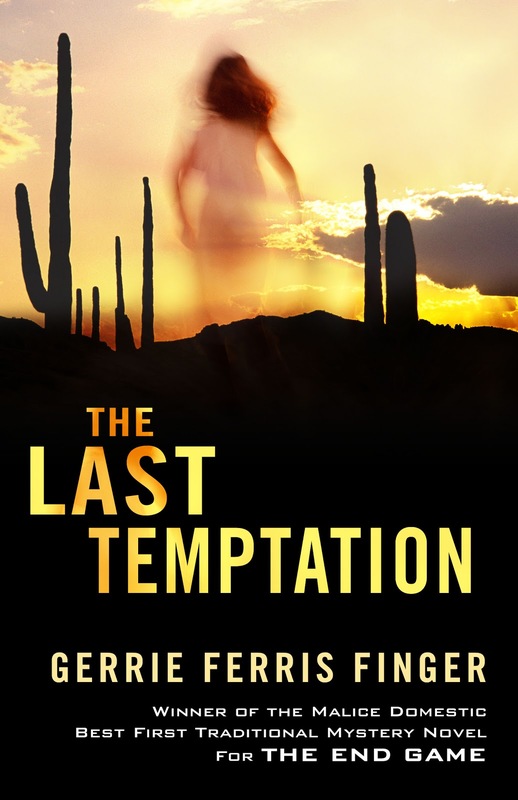 Another woman said, "I almost always figure out whodunit in the first pages." She says it's because the villain has to appear in the first pages and so it becomes a process of elimination. Well, that's her way, but in today's mysteries the villain often does not come into the story in the first pages. In some not until the last half. Today it's all about character and character-building. If I can spot a cardboard villain in the first part of the book, I'm likely going to lose interest. Most mysteries are set in the here and now, and so to unmask a villain early is poor writing, or an overlooked clue by the author. For my reading pleasure, the bad guy needs to keep his killer self under wraps until he no longer can - and that's at the end. Go enjoy a book today. It's always World Book Day.